Girls Dress Up Storage Ideas You Can Really Use! 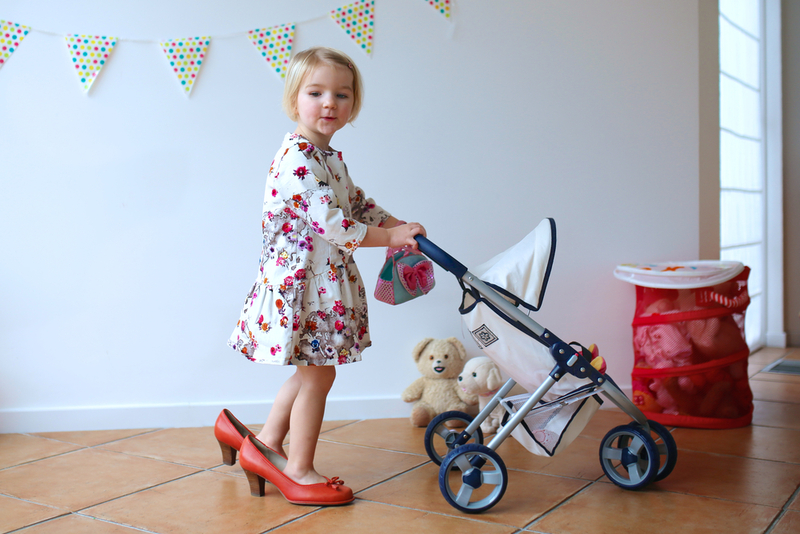 Are you looking for some Girls Dress Up Storage Ideas? You have come to the right place. Does your little girl have tons of dress up dresses and costumes that just can’t find a home in her room? Me too! We tried a trunk, tried hanging them in the closet, what a nightmare. We have tried under the bed, that was worse. I am tired of finding ideas to keep all these dress up costumes organized and picked up, only to find that it will cost me a small fortune. So I searched and found some girls dress up storage ideas that I can buy for a reasonable price or one that I can make myself. I love the DIY Dress Up Storage ideas! I like the girls dress up storage ideas that have the costumes or dresses hung up. Every time the girls dig out their costumes when they are in a storage trunk, every dress gets thrown out till they find what they want. Guess who picks those up? Here is a great list of the ones I have found. What a great idea little girls dress up storage center. She can see all her dress up clothes or costumes at the same time. Hang all the extra pieces that go with that costume or dress on the same hook so she doesn’t have to look for it. 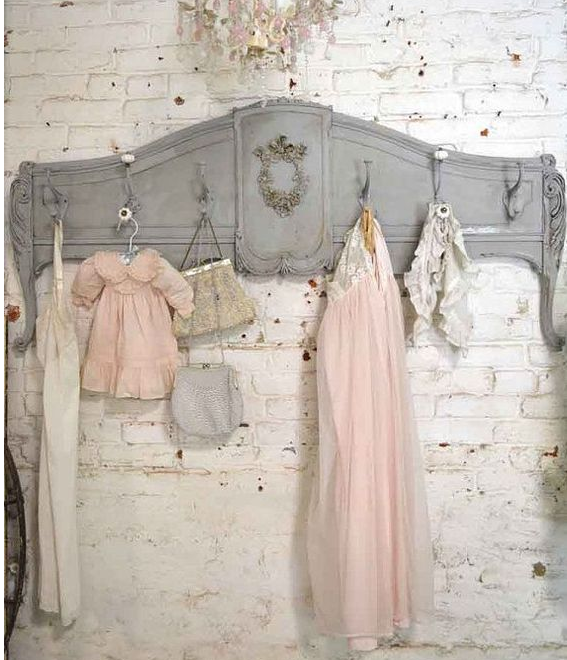 This girls dress up storage idea was brought to us by CleanSmartSimpleStyle.com. 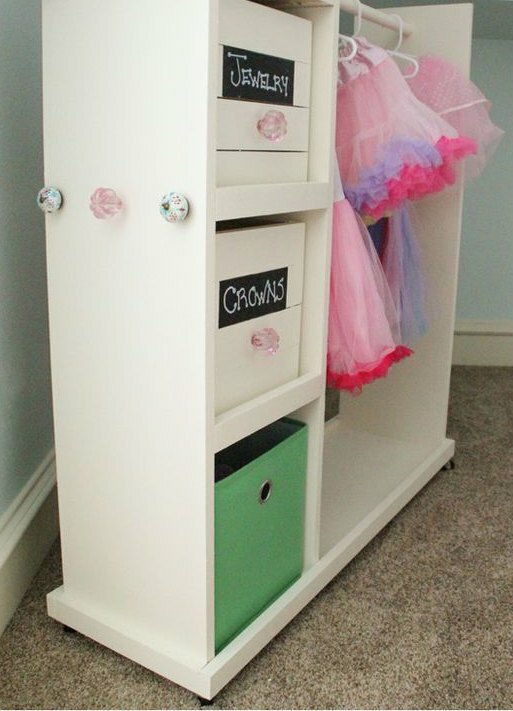 Either make it yourself or find a kitchen island that can be transformed into the perfect Girls Dress Up Storage. If you are crafty, this will be an easy project for you. If you aren’t crafty, like me, you might want to buy a pre-made kitchen island and turn it into a pretty storage center. Find the complete instructions to make this adorable costume storage center right here from Shanty2Chic Blog. These would work nicely by taking out the wire baskets and using them on the shelves. Add a bar for her dress up clothes and you have a really nice little girls dress up storage center. The one on the far right you could put a clothes bar on both sides for all her dresses and costumes. I came across this adorable video and had to share it here. 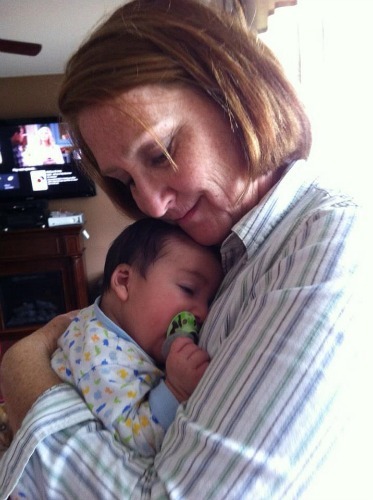 Isn’t she adorable? You know she learned all those moves from her mom. 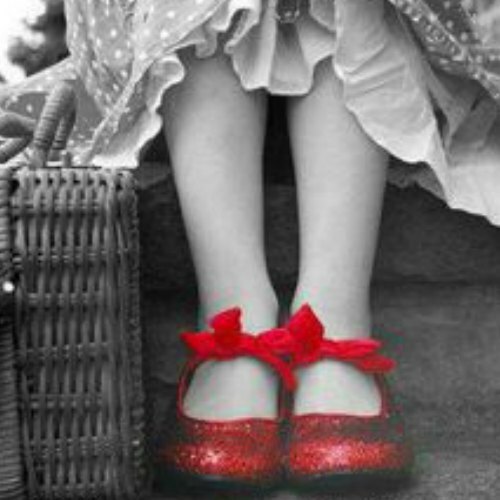 It wouldn’t be the same if she didn’t have the shoes on though, that is what makes the whole dance. Enjoy her performance. I am completely in love with this idea. Grab an old bed footboard, put hooks on it and mount it to the wall. You can paint it any color you want and this will be perfect for her long formal dress up clothes. This idea came from Etsy, but since then it has sold. They can probably make it for you again or something similar. But I think I could even make this. I just may have to try it! 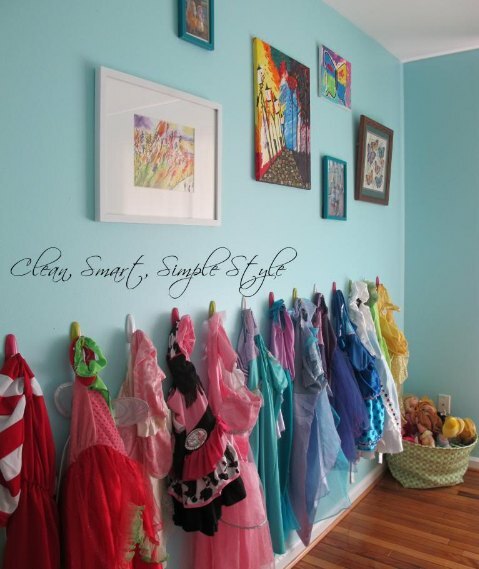 What a terrific idea for a girls dress up storage center! We have all seen or maybe even thrown away, our old entertainment centers. I know I have gotten rid of at least two of them. She gives us all the instructions on how to do it. It really looks easy. Is this one you will try? This great idea comes to us from Sophia Grace & Co Blog. 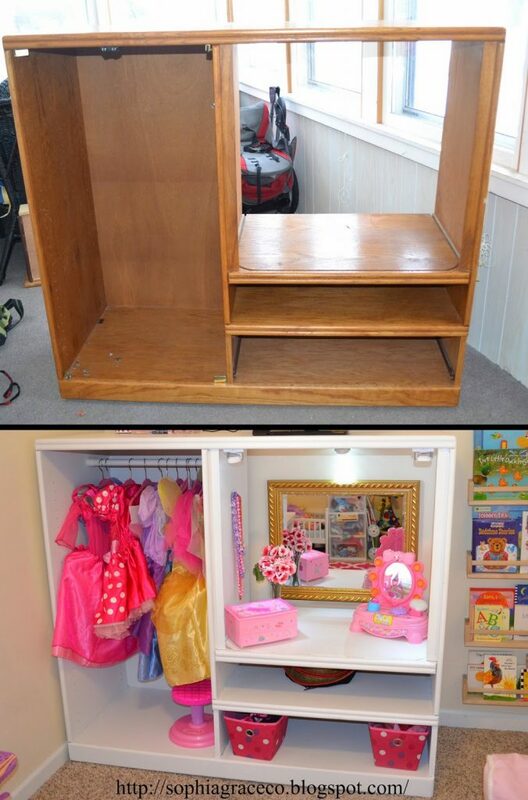 Here are a few items she picked up for this amazing girls dress up storage center. My girls have tons of jewelry and when little girls are dressing up in their favorite dresses or costumes, they want to wear it ALL. Keep their precious jewelry pieces safe and secure in an organized drawer. I really need to do this for my jewelry. It is a mess. 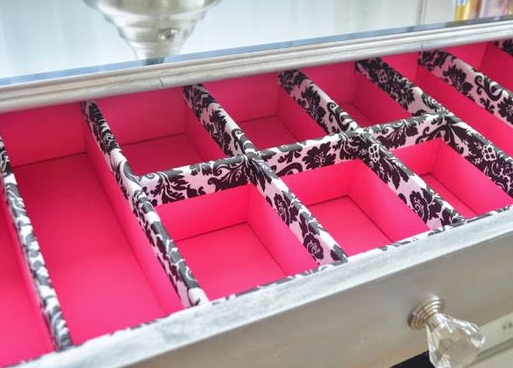 This can be done in a dresser drawer or even a desk drawer. Create a dressing table by using a small desk and she will be thrilled. This idea came from Christine Kobzeff. Sometimes we just don’t have the time, energy, or creativity to make our own things. Amazon can help us with that. Here is a small selection of really cute storage centers that will be awesome in your little girls room. She will love her new Girls Dress Up Storage Center!